Sprinkles and doughnuts… is there a better way to start a Monday? I think not. I’ve been chatting about our family trip that we took to Lake George, NY last weekend. We have a specific morning ritual everyday. My youngest sister and I start with iced coffee from Dunkin’ Donuts. Then we all head to my parents’ motel room for breakfast. Maybe someone will have a Cinnamon Roll, or a Sticky Bun, or both (yes, really), or a Strawberry Hand Pie, or Peach Blueberry Scones, or The Perfect Chocolate Chip Cookie, or you get the idea. Yes, those are really some of the goodies I’ve bought to Lake George. And yes, some of us (who shall remain nameless) may or may not have a cookie as part of their breakfast. I asked my two young nephews if they had any requests. They said, and I quote, “large and vanilla frosted doughnuts with sprinkles.” They ask and Aunt Tina delivers. 🙂 Okay, so they aren’t exactly large, but the pan only has holes in it that are this size so there wasn’t much I could do about that. I will warn you that the glazing step is a tad messy. Hmm, messy… kids… They go hand in hand, right? 😉 I bet my nephews would have loved to help with this part if they were with me when I made them. Spray a doughnut pan with cooking spray and set it aside. In a large bowl, whisk together the flour, baking powder, baking soda, nutmeg, and sugar. Set it aside the dry ingredients. In a medium bowl, mix together the milk, yogurt, and egg. Stir in the melted butter and vanilla extract. This is the bowl of wet ingredients. Pour the wet ingredients into the bowl of dry ingredients and stir until just combined. The batter will be very thick. Gently mix in the sprinkles. Bake them in the preheated oven for 9 to 10 minutes or until the edges are lightly browned. In a small saucepan, over Low heat, whisk together the milk, powdered sugar, and vanilla extract. Keep on the heat until the glaze is smooth. Dunk each doughnut in the warm glaze then transfer it to a wire rack. Make sure you have something underneath the wire rack to catch the glaze drippings. After you’ve dunk every doughnut, do it again. Immediately sprinkle some sprinkles on top of each doughnut. Note: The original recipe calls for 8 doughnuts. My doughnut pan must be smaller than Sally’s because I had extra batter left over. I used the leftover batter to make miniature doughnuts because i happen to have a pan that makes those. I baked them for 6 minutes. 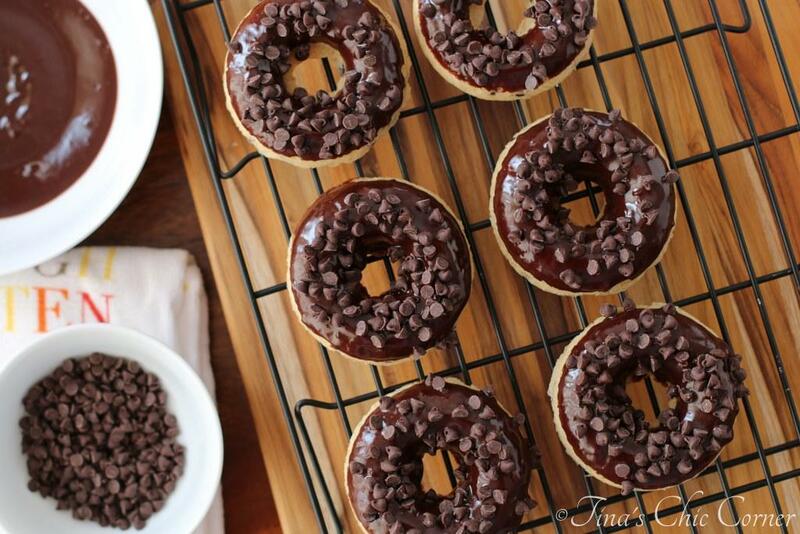 Here are some other delightful doughnut recipes. These are adorable! I love that they are baked, too! Okay, now THIS is my kind of breakfast! Sugar, more sugar, donut, a smidge more sugar, a sugary delicious glaze and SPRINKLES!!!! YES!! 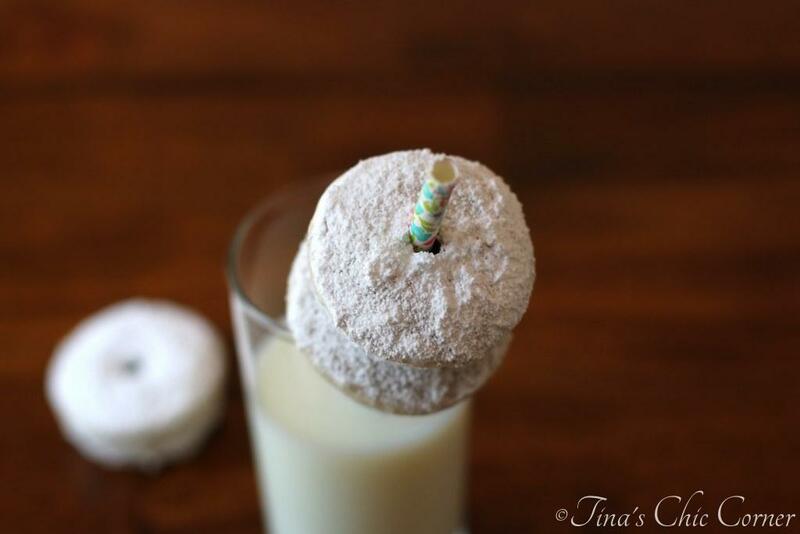 I swoon♡ I may not be a kid… well on the outside, but I adore these funfetti donuts, Tina! They are everything I need in life! ♡ Cheers, pretty lady! 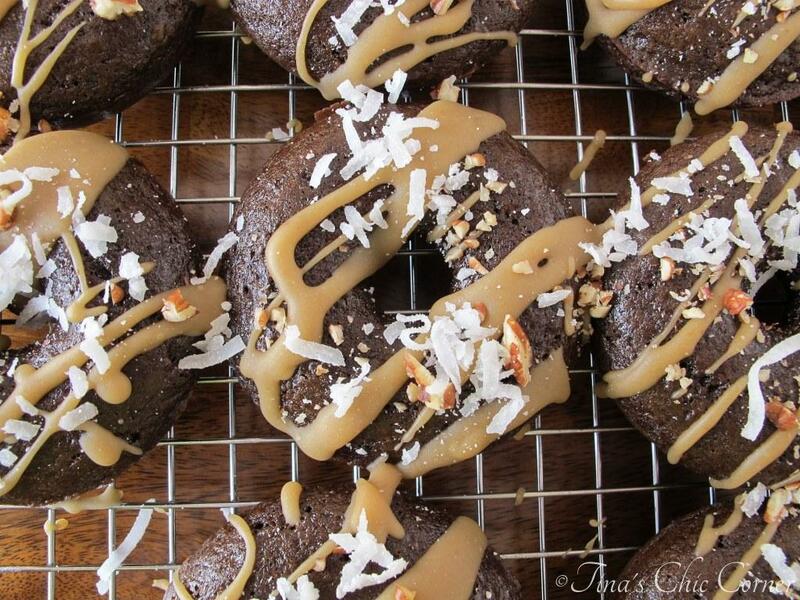 Off to print this recipe, because my dreams are going to be covered in sticky, dreamy, sprinkle smothered donuts. So I have to have these waiting for me in the A.M! !